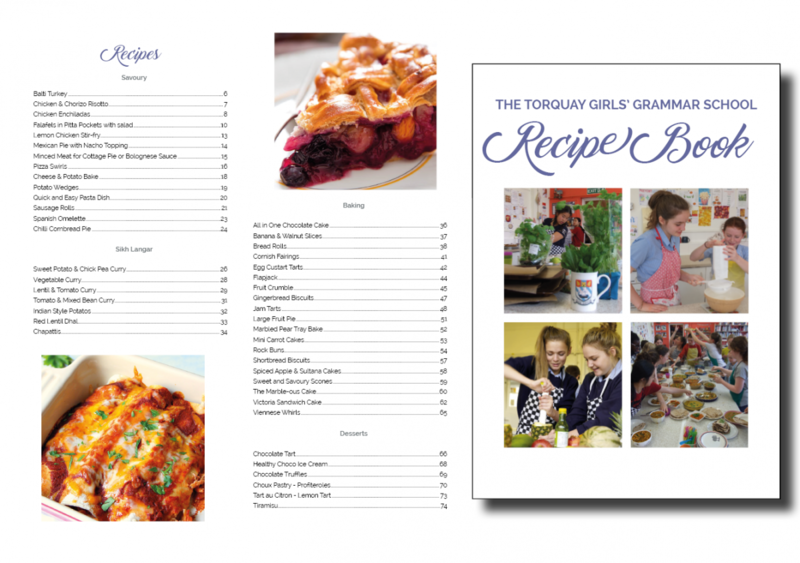 Introducing the TGGS Recipe Book – a compilation of a lot of the recipes we have used over the years in our Food Technology curriculum. Also included are the recipes from our annual "World Religions Day” when Year 8 students cook and share a typical Sikh Langar meal. For the older girls who are about to embark on their next step after school, we have run “Independence Day” and some dishes from those cooking sessions also feature in the book. Finally, we asked Key Stage 3 students to share their favourite family recipes and have selected eight for inclusion. The books are now available to purchase via your Parent Pay account. The cost is £5 which covers the cost of producing the book and and includes a contribution to our School Fund. CLICK HERE to go to ParentPay and order your copy now!